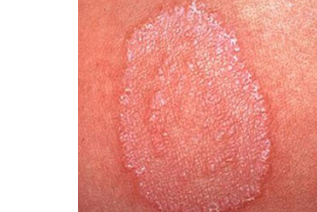 What is Fungal infections of the skin? Cutaneous (Skin) fungal infections like athlete's foot (Tinea pedies), jock itch, Tinea corporis and Tinea axillaris are quite common. The main causes are a group of mould fungi and dermatophytes. The desquamated stratum corneum (top layer of skin) cells form an ideal substrate for these fungi to colonise and multiply. What happens in fungal infections? who suffer from hyperhidrosis and menopause . Affect the micro habitat of the fungus and nullify the fungal adhesion on the skin. Offers relief from both symptomatic and mycological cause of infections. 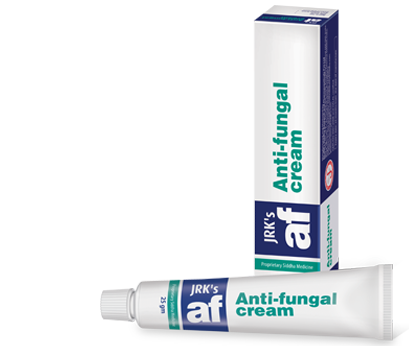 Rapid active formula reduces itching and other associated symptoms of fungal infection. Makes the skin smooth and reduces scaling.